Bundle o Joy Articles Urban Farms – A Great Family Day Out! Urban farms offer a slice of the countryside in the heart of a city, and make for ideal family days out. Most farms are free and give young children the chance to learn about animals and where our food comes from. Rachel Bull, editor of Live Urban Love Rural looks at five of the best city farms across the UK. 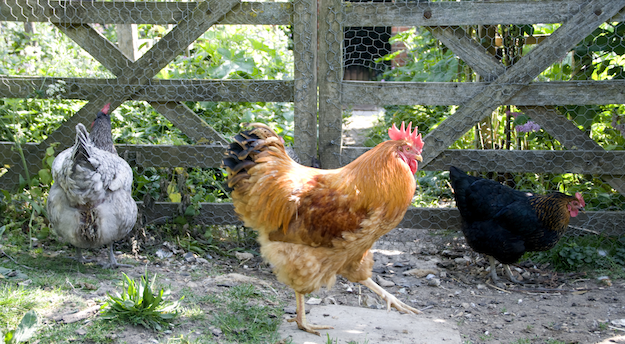 Windmill Hill City Farm is an independent community project in Bristol with some added extras. It has a range of farmyard animals to visit, as well as community gardens, picnic area, café and a nursery for children aged between three months to five years old. The nursery is open from 8am to 6pm weekdays, and all the farm’s staff are trained in childcare. Spitalfields City Farm in east London was originally set up by volunteers in 1978 and still relies on volunteers today to help maintain the farm and gardens. Its famous attractions include the guinea pig village, Tilly the miniature Shetland pony, and Bayleaf the 15-year-old grey and white donkey, who still gives rides for children. Rice Lane City Farm, four miles north of Liverpool city centre is another community-based project that has been running for 30 years. The farm has rare breed cows and pigs and a herd of Ryeland sheep. They are often referred to as teddies because of their rounded features, and are loved by children and grown-ups alike. Open: Seven days a week from 10am to 3.45pm. Star attractions at Heeley City Farm in Sheffield include Martha the Lionhead rabbit, Jersey Cows Clover and Buttercup, and Summer the pygmy goat. The farm site was originally more than 300 terraced houses built between 1850 and 1880. There was a pub, bakery, greengrocer, a tobacconist, sweetshop and many small businesses on every corner. When the site was demolished in the 1970s, the local residents fought to turn the land into something positive for the community and the farm was born. Stonebridge City Farm in Nottingham is like a living classroom, regularly welcoming schools and parent and toddler groups to learn about animals and farm life. Highlights include a nature walk where you can see a number of wild birds and butterflies, a farm tour, woodland activities and even ‘Ask the Farmer’ sessions. Have you had a fun experience at a city farm? Or is there a farm near you that you’d like to recommend? Let us know! For more rural-style family activities in the city, check out the new Family page on Live Urban Live Rural.com, the blog that shows you the country side of urban living.